Results of Where You the Fans Voted !!! VENDORS THAT WILL BE AT ROCKSTOK 2019! 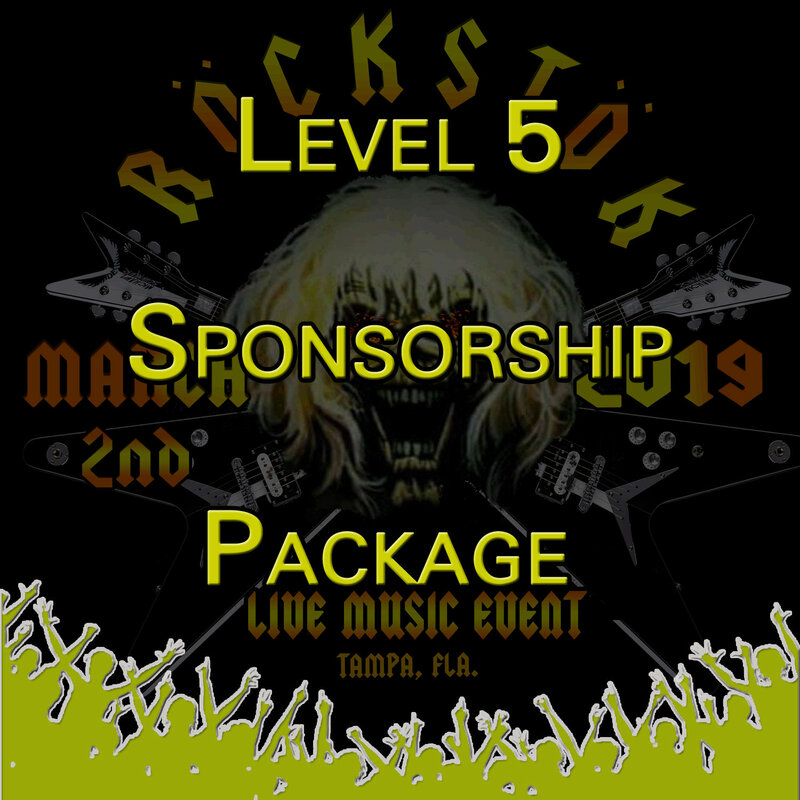 Recognition of sponsorship via public address system or stage announcements during all major event announcements thru the entire event. You May Provide 2 Large Comapny Banners for Display at the Event. Constant Social Media Promotion on all Social Media Sites...Tagged in each and all Posts. Sponsors Logos will be on the Event Shirts that are sold at the Event. Sponsors get to be on the Center Banner of Main Stage posted at the Event . Sponsors will be mentioned in All Live Promotions as well as Print in Newspapers, etc. Hospitality Tent will be provided. Fans Get to Vote in the Line Up!!! !